You have added True Colors Graphic Cardigan Sweater into shopping cart. FINAL SALE. 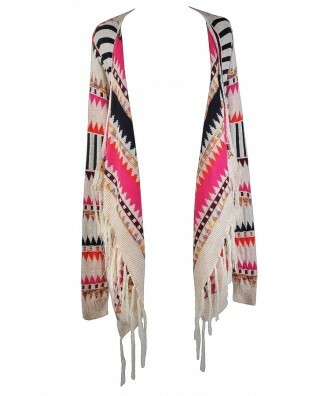 Show off all your true colors in this bright and bold multi-colored graphic cardigan sweater. 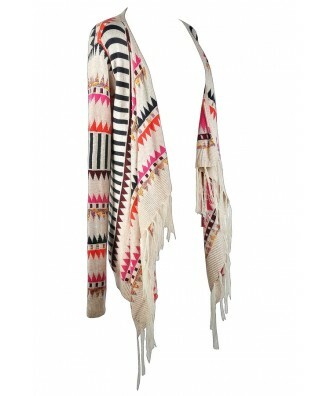 The True Colors Graphic Cardigan Sweater is made of a knit cotton blend fabric. 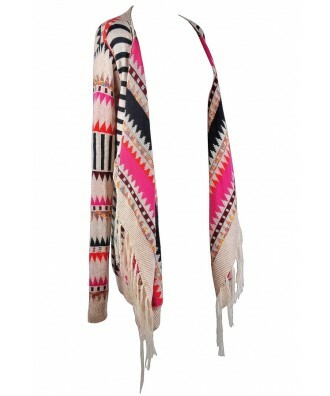 It has an open cardigan design with a beige background and black, orange, hot pink, and burgundy designs throughout. Beige fringe at the hem adds a laid-back feel to this sweater. The True Colors Graphic Cardigan Sweater is the perfect wardrobe staple for layering. 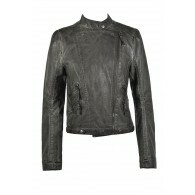 Pair it with denim and a fitted tank or tee. It also pairs well with black leggings and boots. Details: One Size Fits Most. 60% cotton, 40% acrylic. Hand wash cold water separately. Color will bleed. No bleach. Lay flat to dry. Measurements: Length from top of shoulder to hemline: 34". 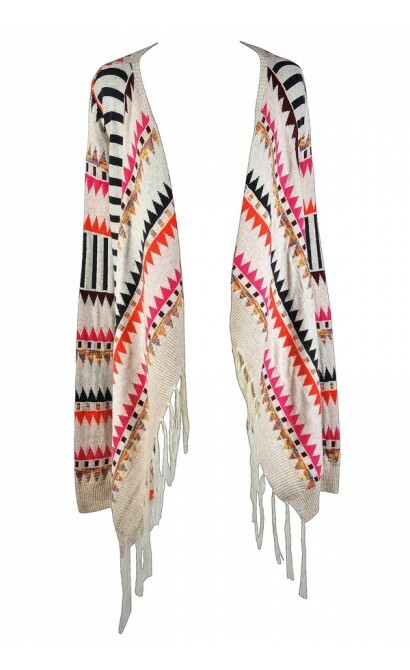 You have added True Colors Graphic Cardigan Sweater into Wishlist. 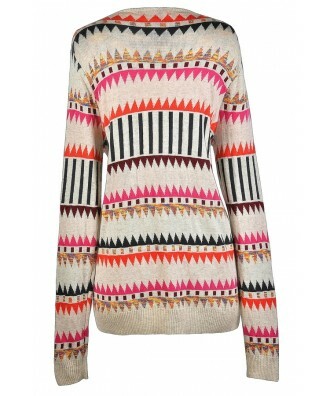 You have added True Colors Graphic Cardigan Sweater for Stock Notification. 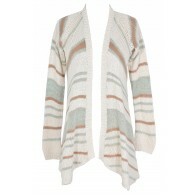 You have set True Colors Graphic Cardigan Sweater as a loved product. 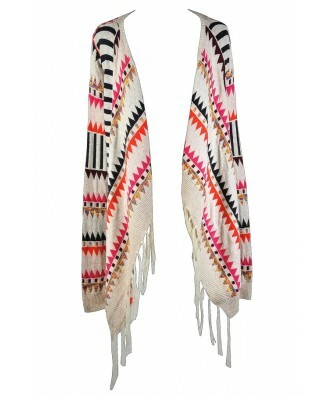 You have removed True Colors Graphic Cardigan Sweater as a loved product.